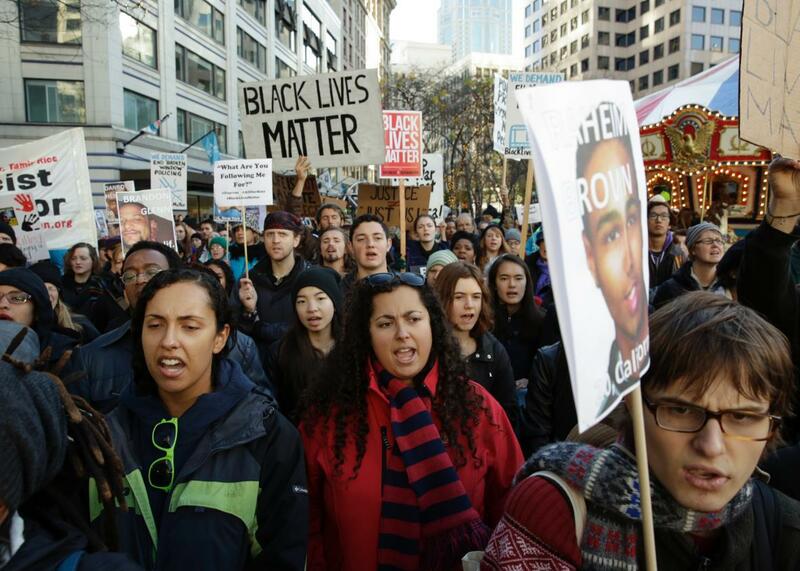 Federal judge to Seattle police union: Black lives matter. A Black Lives Matter protest in Seattle. U.S. District Judge James Robart held a dramatic hearing on Monday that began with a fierce rebuke of the Seattle police union’s refusal to address unconstitutional policing and closed with a declaration from the bench that “black lives matter.” Robart’s comment marks the first time a sitting federal judge has explicitly cited the nascent civil rights movement, though Supreme Court Justice Sonia Sotomayor has echoed its calls to end police brutality and validated the demands for police reform. Robart, a George W. Bush appointee, is presiding over a consent decree—a court-ordered settlement—between the Justice Department and Seattle reached in 2012. That agreement required the city to remedy unconstitutional practices at nearly every level of policing, from illegal stops to unreasonable and deadly use of force. Since then, Seattle’s chief of police Kathleen O’Toole has pushed the police force to adopt innovative and successful trainings on crisis intervention and bias-free policing. But further reforms are necessary to fulfill the consent decree’s requirements—and the police union has tethered its adoption of these reforms to pay raises and benefit increases. In order to fulfill its legal obligation, Seattle attempted to reach a compromise with the police union this summer, offering a new contract that mixed the requisite reforms with wage hikes. The union overwhelmingly rejected the contract on the grounds that it did not sufficiently reward officers with more money and benefits in exchange for engaging in constitutional policing. According to the Seattle Times, it was this repudiation that pushed Robart to speak out so forcefully. In particular, the union appears resistant to adopt new standards and procedures regarding officer discipline and internal investigations, which Robart insists are vital to any sufficient reform. After scolding the recalcitrant union, Robart noted that, nationwide, blacks represent 41 percent of police shooting victims—but only 20 percent of the overall population. He then said from the bench: “Black lives matter.” The remark drew an audible reaction from the audience. Nearly 600 people have been shot dead by police in the United States in 2016 so far, including at least 149 black people. (Seattle has actually experienced relatively few police shootings this year.) Robart’s comments followed a weekend of protests and riots in Milwaukee after a law enforcement officer shot a reportedly armed but fleeing suspect to death. In June, the Supreme Court significantly expanded officers’ ability to conduct suspicionless stops and seizures, the kind of seemingly casual encounter that—for minorities especially—can quickly spiral into police brutality.